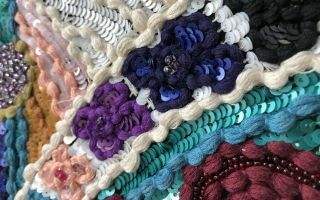 Running from 17 to 20 January 2015, Domotex, the worlds most important trade fair for carpets and floor coverings, drew around 40,000 visitors from 100 countries to Hanover. “We`re really delighted with the outcome,” said Dr. Jochen Köckler, Member of the Board of Deutsche Messe AG. “Everything fell into place nicely. 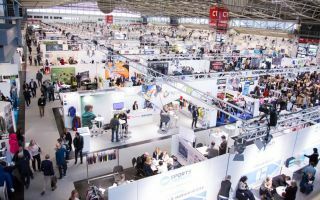 The number of exhibitors, the quality of the visitors, the high concentration of innovations and the international mix of buyers and exhibitors. The international flair of the event was felt across all the halls. 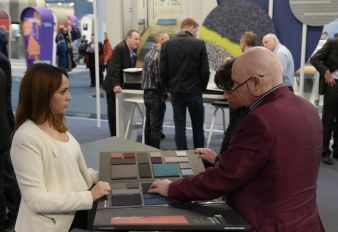 Domotex stimulated international business, providing the flooring sector with renewed optimism for the coming year.” Spread across twelve halls, a total of 1323 exhibitors from 63 countries – more than 85 per cent from abroad – showed their new products in Hanover. “This year, the main focus was on surprising materials, newly interpreted designs and state-of-the-art production technologies. Sustainability also played a central role. The comeback of the Persian rug as a modern trendy furnishing was really quite impressive,” Köckler emphasised. Domotex was also a resounding success for exhibitors. “Domotex is the perfect backdrop for meeting our customers and for forging contacts with new clients. It enables us to show our global customer network our latest innovations in a minimal amount of time,” says Johannes Schulte, President & Chief Executive Officer, Vorwerk Teppichwerke, Hamelin. Following its successful debut last year, the Innovations@Domotex concept once again attracted much attention and featured 70 outstanding innovations. 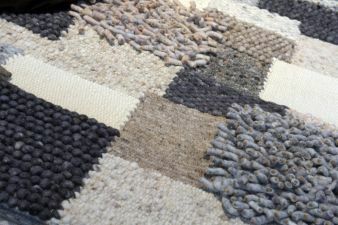 “Customers often initially struggle to appreciate the link between floor coverings and modern interior design. To create this link, they need to acquire a new vocabulary. This is exactly what we provide at Innovations@Domotex,” says Stefan Diez, industrial designer. The next Domotex takes place from 16 to 19 January 2016.